Uda's nature, loved by its predecessors, will shine even more in spring. The cherry blossoms of Uda bloom at the same time in early April and you can enjoy the beautiful cherry blossoms competition. 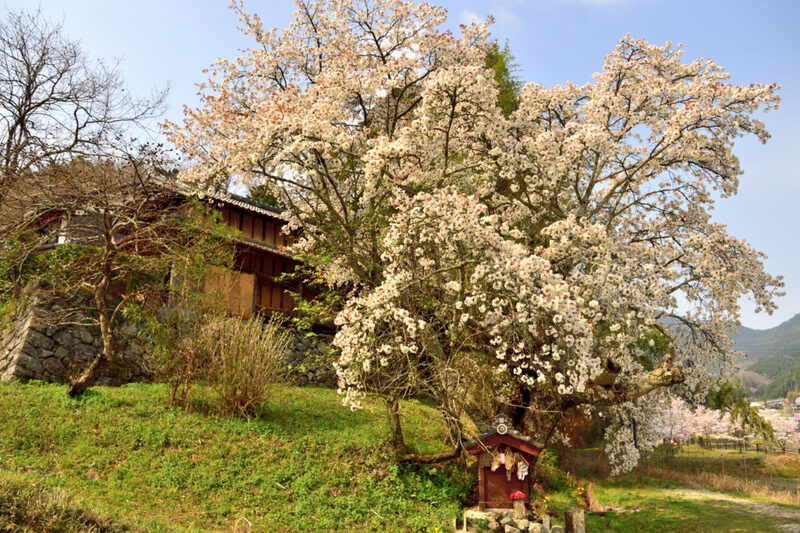 There is a story for each cherry blossom in Uda, and it makes for more interesting cherry blossom trips by reflecting on the background related to history and people. If you walk from the parking lot, you will be able to see “Kitamuki Jizo Sakura” first. Because “Kitamuki Jizo Sakura” is enshrined at the base of the cherry blossom tree, it is called “Kitamuki Jizo Sakura” . There is a taste of old wood, and a figure that stands close to Jizo's spear makes you feel like a good Japanese-style landscape. It is an old tree of unknown age that gives the atmosphere of a movie set. This nostalgic scenery reminds the nostalgic mind of the viewer. 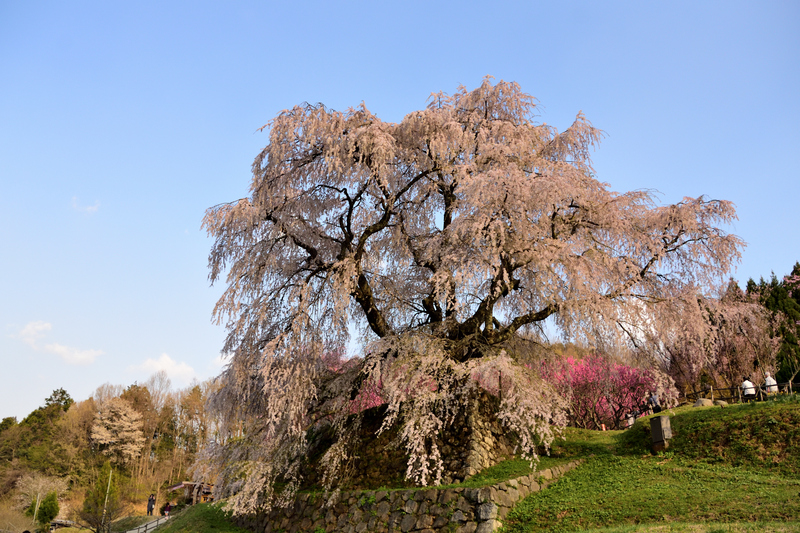 The ancient Samurai's style, Matabei Sakura, is a beautiful cherry tree with a branch around 3 m around the trunk and 13 m in height. It is said that he had a nickname of "Juno Matabei" and was killed in Osaka summer squad. On the other hand, I have many anecdotes such as having lived as a monk in this place. It is said to be a place where people have spilled out of the great swells of history and have lived dreaming of resurgence. It's also a powerful cherry blossom like the spirit of the soldier is riding. This legend of old wood captures the hearts of visitors. Only one cherry blossom has become famous for being used at the opening of the TV drama, and it is said that it has attracted approximately 60,000 people from all over the country. The branches that fall like jumping out of a stone wall are so powerful that they don't seem to be 300 years old. Paths are maintained around you, and you can look around the thick trunk. And the other highlight is "Wind branches in the wind"! It looks like the branches fluttering like that, as if they were talking about something with the wind. There is a walkway on the other side of the river, and the "Matabei Sakura" seen from here has a magnificent appearance on the green mountain. In addition, the dream of the soldier was scattered in the summer, but the people reflect a soldier, “Matabei” in the powerful cherry blossom which is likely to move now. In addition, about 100 cherry trees are planted over 500 m along the Houno River, which is a 10-minute drive from “Matabei Sakura”. How about going off to see the cherry blossom tunnel? I am fascinated by the world of Uda's cherry blossoms.